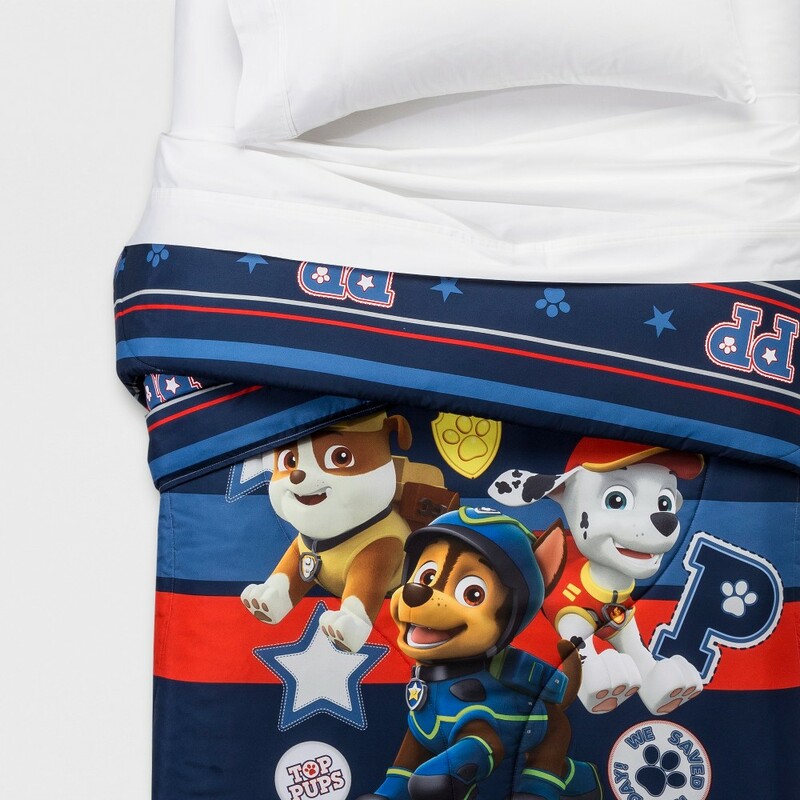 Your kiddo will love snuggling in for bedtime when you finish their bed with this Paw Patrol Reversible Preppy Pups Comforter. 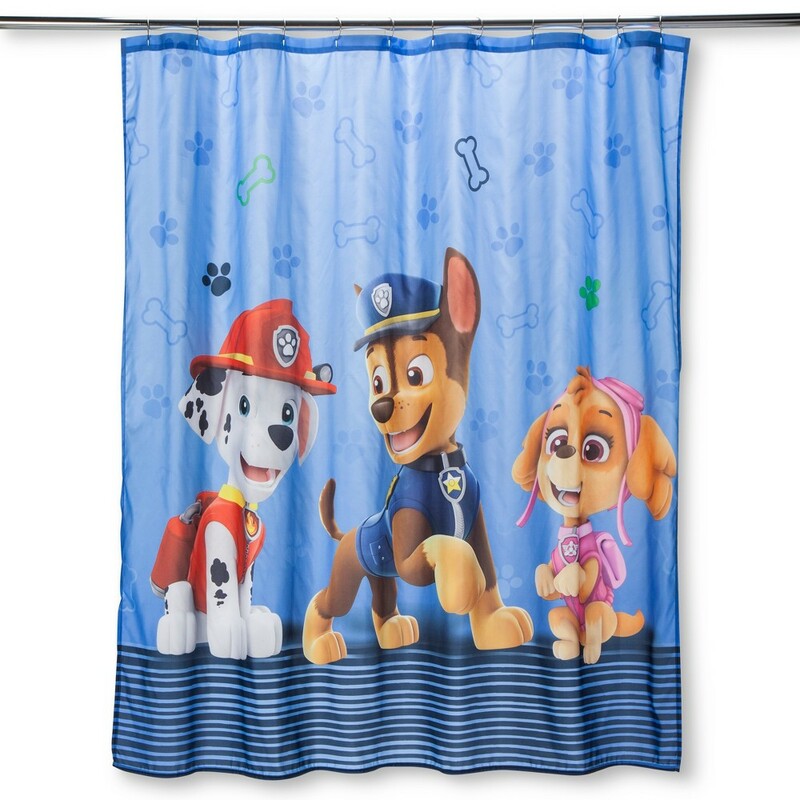 This printed children's comforter features all your child's favorite Paw Patrol characters, and the reversible design makes it extra fun. The microfiber fabric finish makes this comforter extra cozy, and the generous fill means they'll stay warm and comfortable all night long. Size: Twin. Color: Multicolored. Gender: Male. Pattern: Fictitious character. Super fun for the Paw Patrol fans. A great bathroom addition with this brightly colored shower curtain. Made of durable 100 percent polyester. The button-hole top on this fabric shower curtain works with standard shower hooks and curtain rods. Color: Blue. Gender: Unisex. Pattern: Fictitious character. 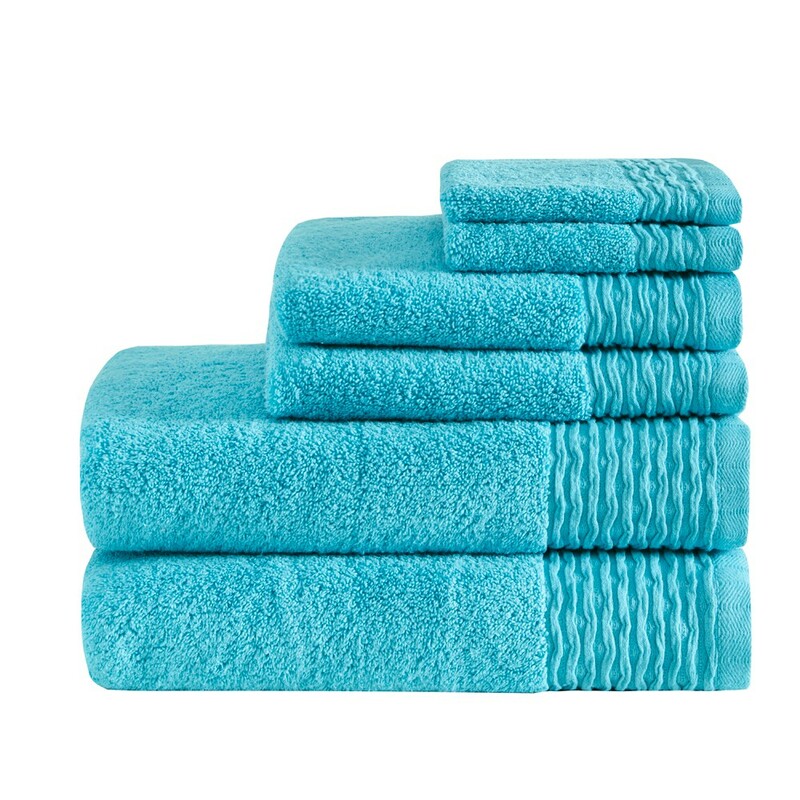 The Curv Jacquard Wavy Cotton 6pc Towel Set provides a luxury yet practical addition to your bathroom. The 100 percent cotton towel set features a jacquard wavy border design that is simple and casual. Woven with zero twist cotton yarn that is far superior than conventional twisted yarn to provide strength and durability in 580 Gsm weight. Soft and absorbent, this towel is quick to dry and not weighed down by excessive moisture. Set includes: 2 bath towels, 2 hand towels, and 2 wash towels. Complete the collection with coordinating Braide rug, available and sold separately. Color: Blue. Gender: Unisex. Pattern: Solid. Bring simplicity to your bathroom with this Solid Shower Liner from Made By Design. Featuring a classic construction, this solid curtain liner updates your bath space with a simple style and function. This durable shower liner keeps the water off the floor, while the grommet top makes it easy to hang. 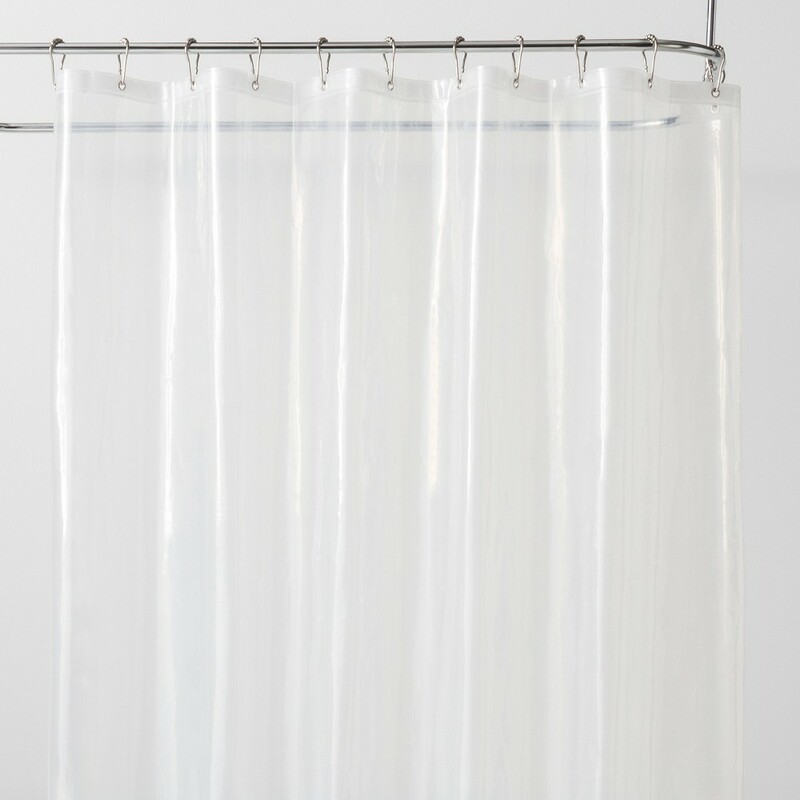 Whether you're hanging it behind a shower curtain or using it alone, it'll make the perfect addition to your shower. Color: Clear. Gender: Unisex. Age Group: Adult. Put a stop to tossing and turning in bed with the 2-Pack Density Story Medium-Firm Bed Pillows from Pegasus Home Fashions. Made from 100 percent cotton and filled full with hypoallergenic filling, these rectangular bed pillows not only provide you additional support, but also protect you from allergens. 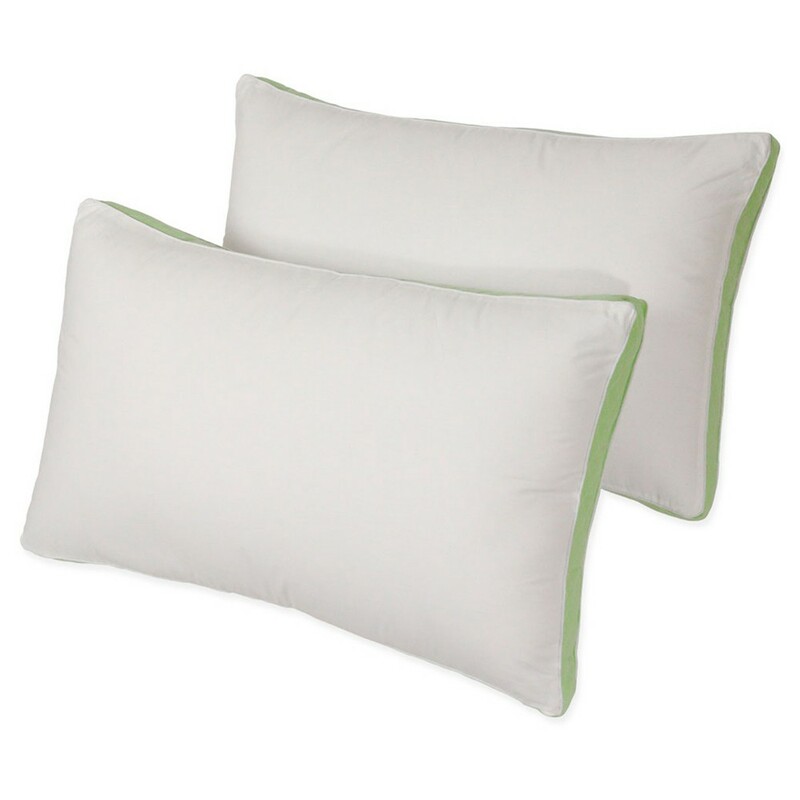 With a two-inch light green gusset that brings a beautiful contrast to the white background, these hypoallergenic bed pillows keep you comfortable whether you recline with a book for a little bedtime reading or turn off the lights to catch up on some sleep. Size: King. 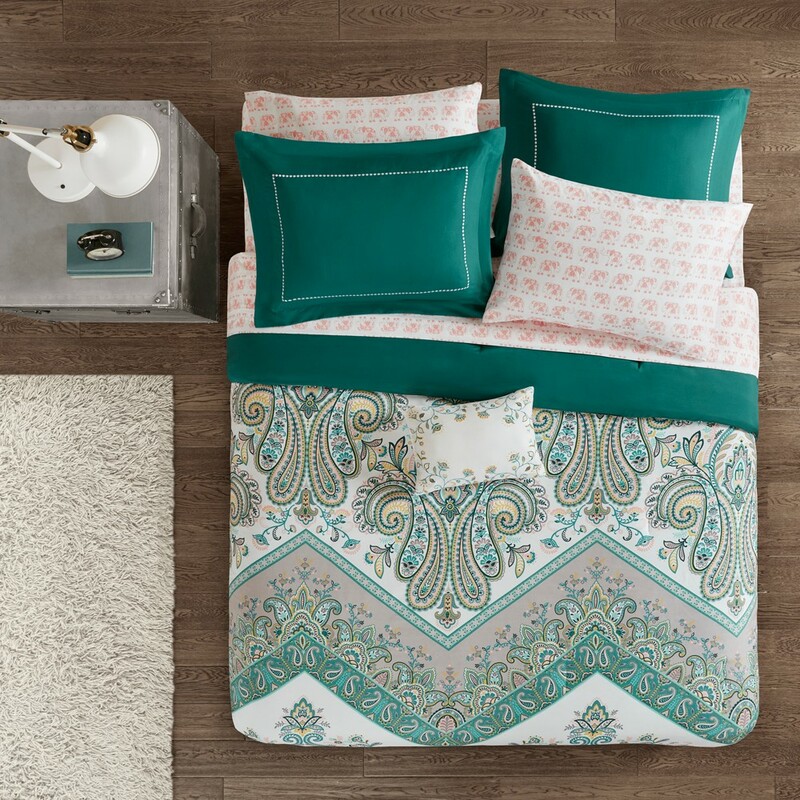 Invite boho vibes with vivid colors with the Allura Boho Printed Complete Comforter and Sheet Set. This ultra-soft microfiber comforter flaunts a large damask design that is broken up by an oversized chevron motif. Floral accents in gorgeous hues soften the look and give it a boho feel. A dark reverse and bed skirt complement the elegant print on the top of bed, while matching sham(s) with an embroidered white border creates a chic coordinated look. One decorative pillow with floral embroidery provides the perfect touch. To finish the ensemble is a complete sheet set, with printed elephants, to pair beautifully with the comforter. Machine washable for easy care, this complete bed and sheet set will easily transform your bedroom into the perfect abode. Size: Full. Color: Teal. Gender: Unisex. Pattern: Paisley. Get restful sleep with this Mattress Pad from Room Essentials. 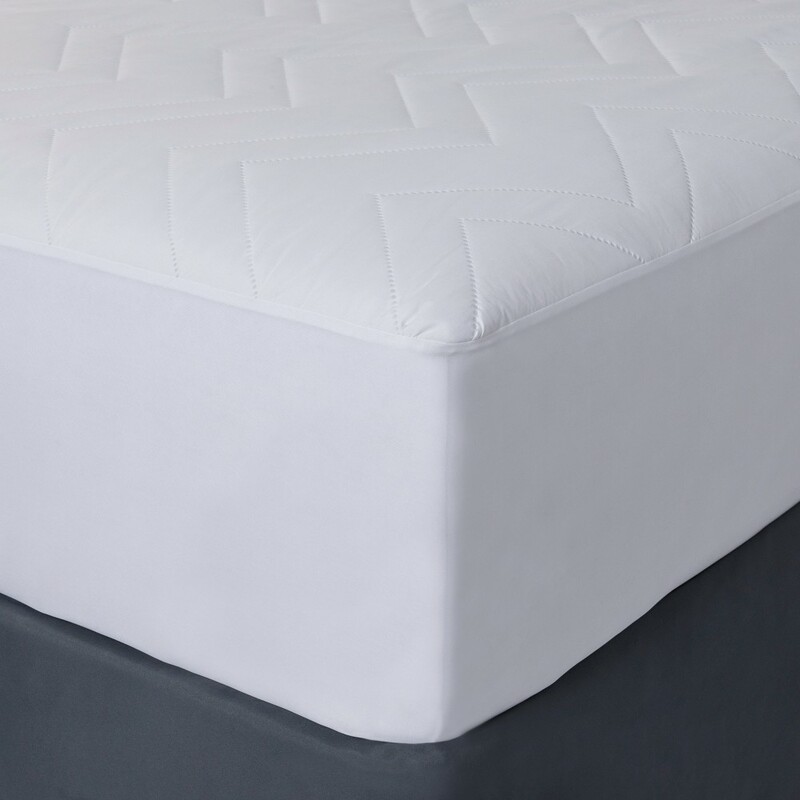 Protecting your mattress and providing extra comfort, this soft mattress pad is essential for any bed. The solid white color stays concealed under your fitted sheet, so you can layer it with any type of colored or patterned linens you choose. The microfiber construction provides breathability so you stay comfortable all night long, and it's machine-washable to make cleaning a breeze. We're committed to making products better for you, and the world. This product is Standard 100 by Oeko-Tex certified, meaning that everything from the dyes and fabrics to accessories like buttons and zippers are tested and verified as free from harmful levels of more than 300 substances. Size: Queen. 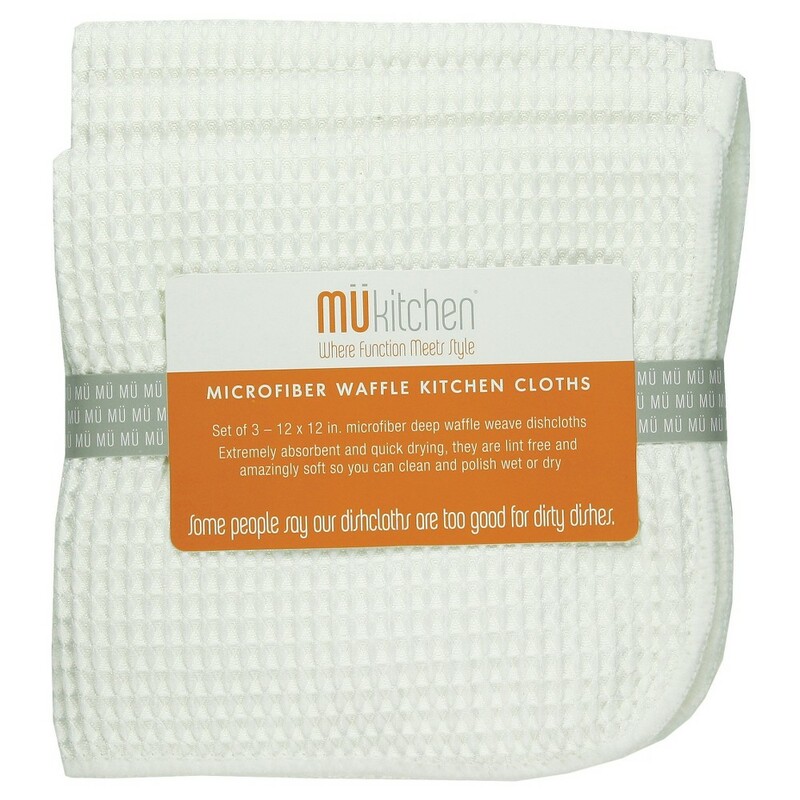 Stock up your kitchen essentials with the Waffle Microfiber Dish Cloth (Set of 3) Storm Gray from MUkitchen. These highly absorbent microfiber kitchen cloths are generously sized at 12 x 12 inches to wash even the tallest stack of dishes. The waffle texture works like a scoop picking up dirt and grime whether being used wet for dishes or dry for dusting and cleaning. The set of 3 means you'll have a clean cloth on hand at all times. After using they can be rinsed and wrung out to quickly dry for the next use. Color: White. Pattern: Solid.